Just the Bike for Everywhere. 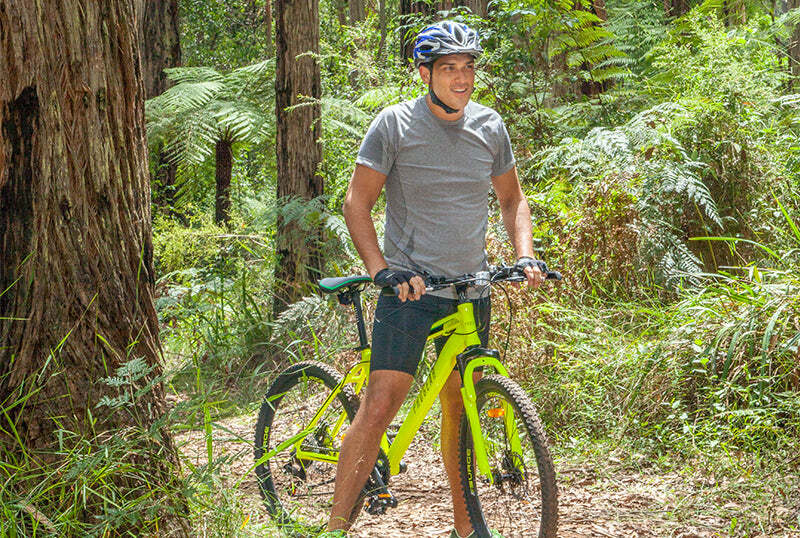 Off-road, on-road, the Surge will be great for mountain biking and street cycling. 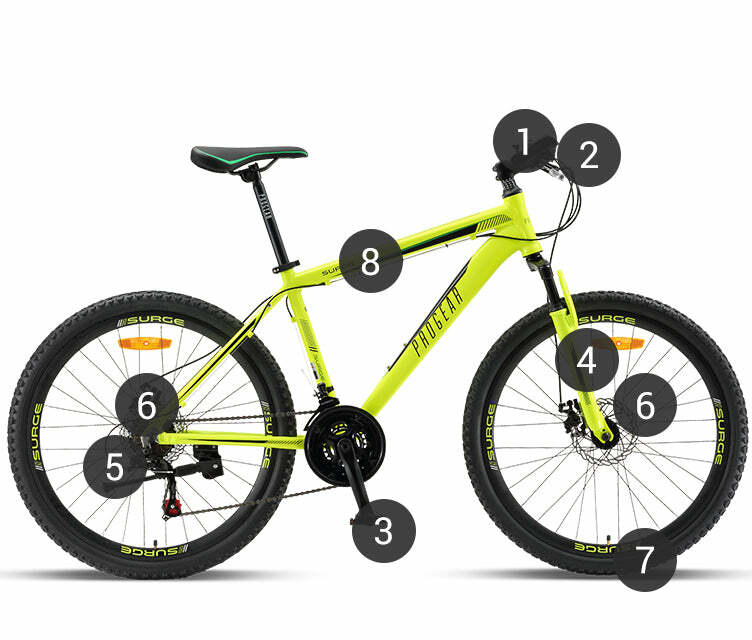 A fantastic and affordable package in a mountain bike. 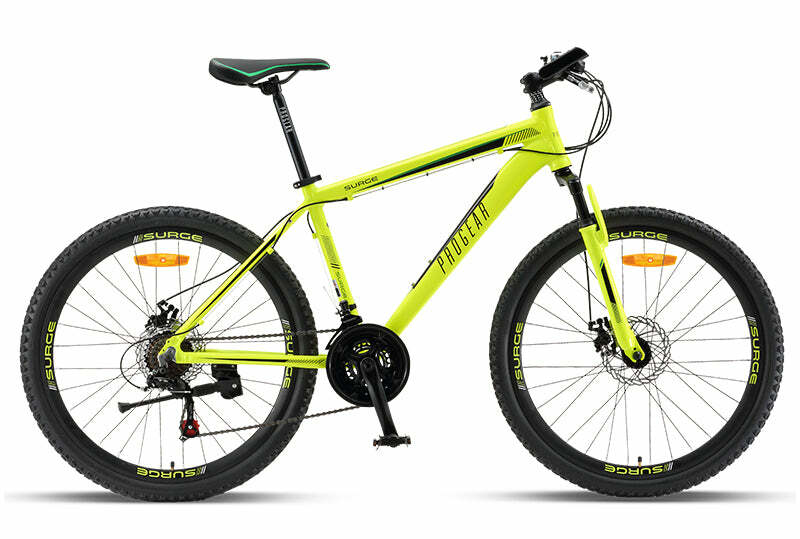 An light-weight alloy frame helps increase the agility and handling of your bike, making it essential for any mountain bike rider. 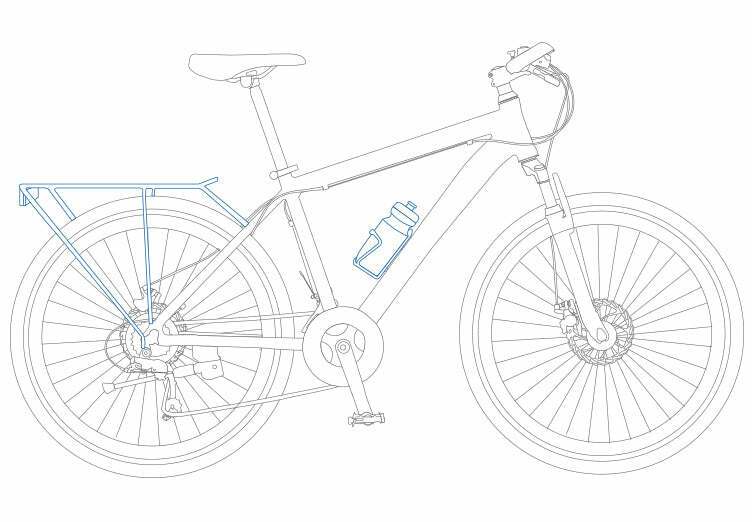 With a front and rear derailleur combining 21 gears, you'll be able to maintain cadence and find the right gear ratio for any incline. 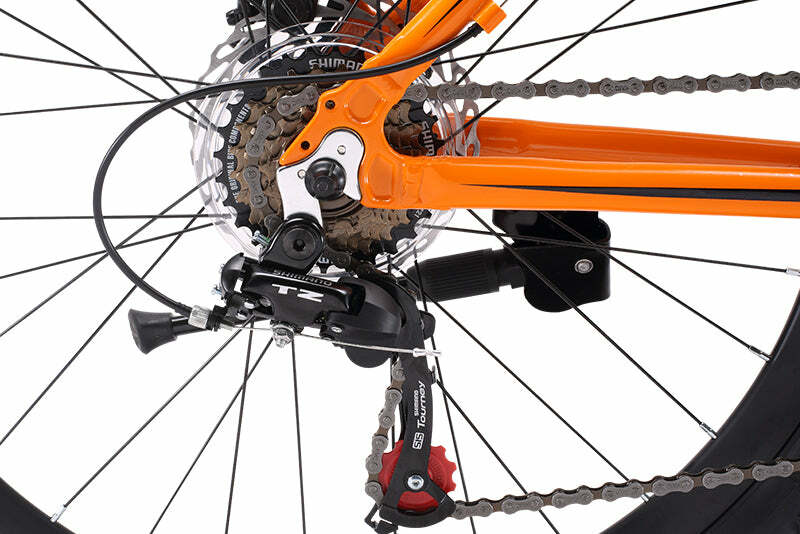 Comes equipped with a reliable Shimano Drivetrain and Shimano Thumb shifters. 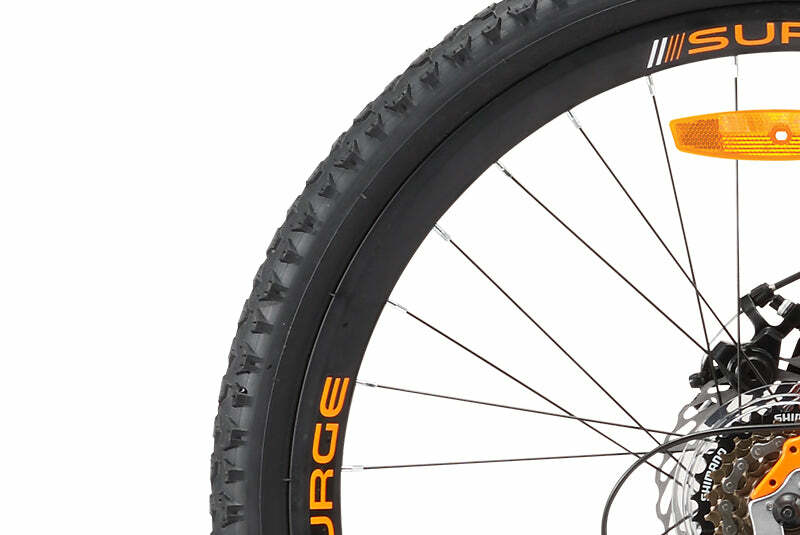 You'll be able to chew up bumpy and uneven terrain with ease on the Surge's suspension forks. Don't settle for standard forks, you'll be in for a uncomfortable and bumpy ride! 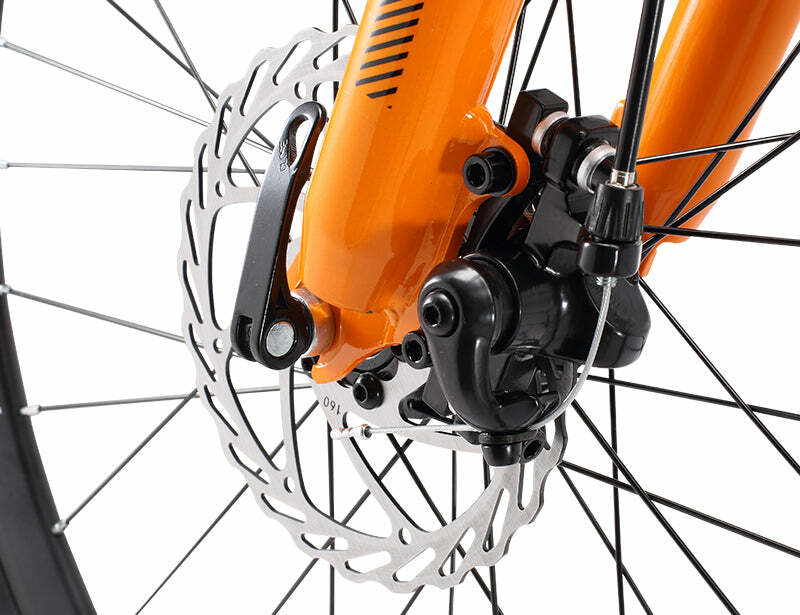 Pedals are the main contact point for all of your power & torque, why is why our Surge comes with quality steel/resin pedals rather than plastic. 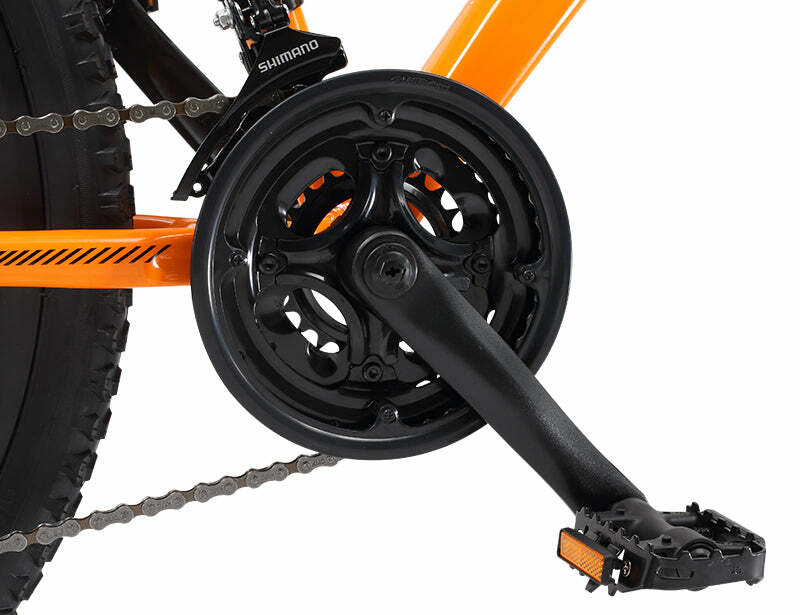 Our 30mm Double Wall rims are appropriately sized for mountain bike riding, for optimum weight and strength. 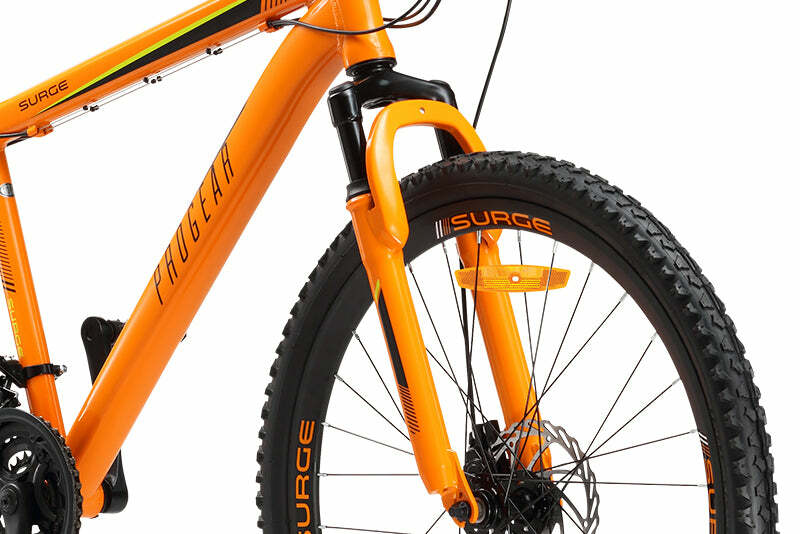 Whether mountain biking or street biking, the Surge comes with a few mounting points for additional accessories.